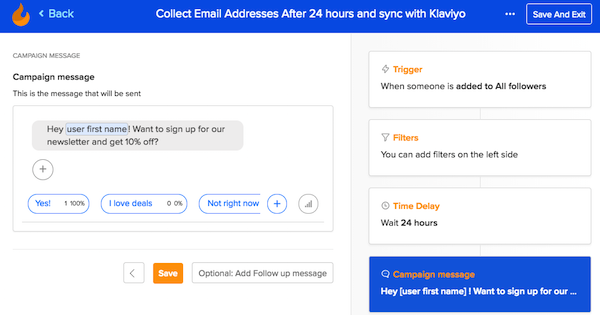 Sync customer emails and information collected from Facebook Messenger campaigns with your Klaviyo account. How do I sync my Klaviyo account with Octane AI? 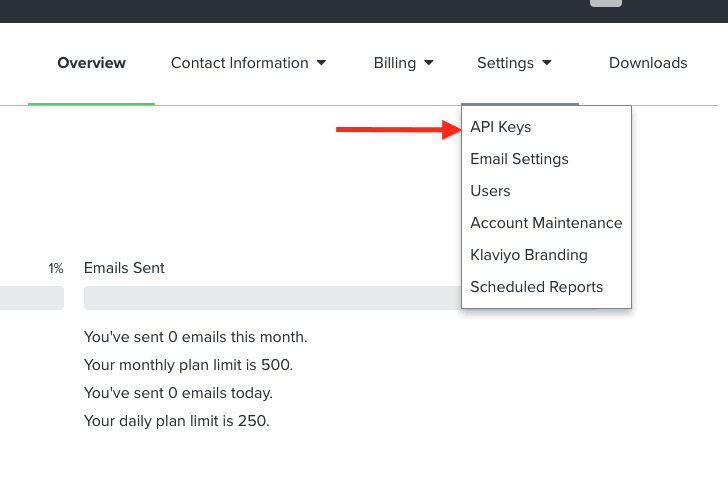 Private Key - in order to create the Private key to connect go to Klaviyo account>click on Settings option and select API Keys> Click on Create API Key button. Learn more. After your unique API Key is displayed, copy and paste it into the private key field on Octane AI. 2. List to sync contacts to - Select which of your Klaviyo lists you wish to add contacts that will be synced from Octane AI. If you leave the "Not selected" option, user profiles will be created but they won't be added to any of your lists. After you have added your Private Key and selected the list to Sync, click the Save button and you are all set. 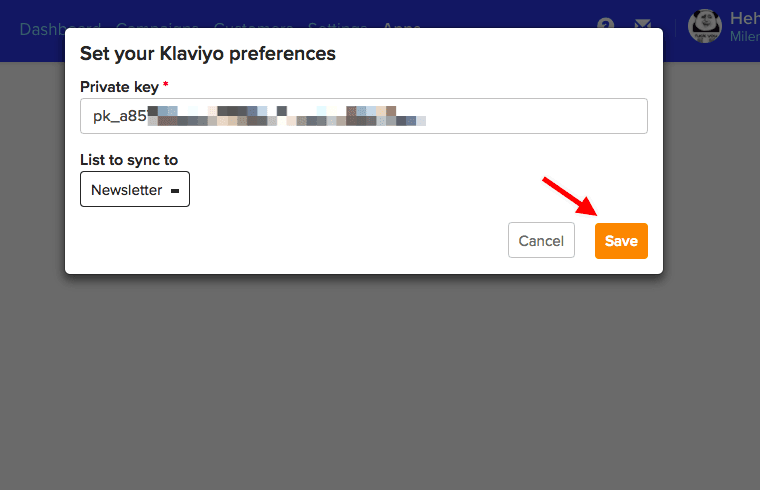 When do my contacts sync with Klaviyo? Your bot followers will be synced with Klaviyo as soon as you have an email for them. What customers info can I see in Klaviyo? Location: city, zip code, region/state and country - if you collect that information. Learn how. Phone number - if you collect that information. Learn how. What events can I see in Klaviyo? What can I do with those events? 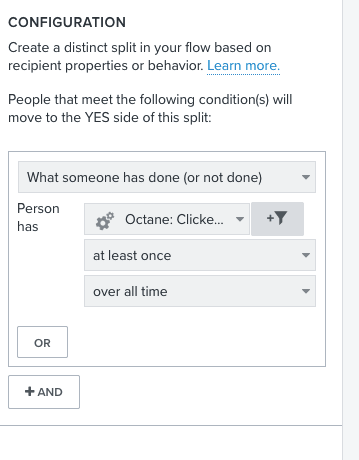 Tracking events is an amazing feature because you can target specific users based on events and send them campaign. This is just one of many possibilities. What's the best way to collect emails? You can easily ask your customers for their email within the bot. 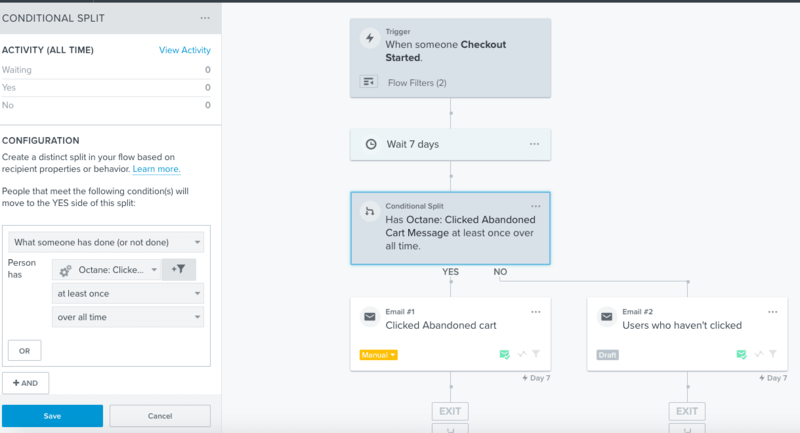 One way we highly recommend is setting up a Flow that sends to followers one day after they first follow and asks if they want to sign up for the newsletter. This works really well with a 10% off coupon or something like that. 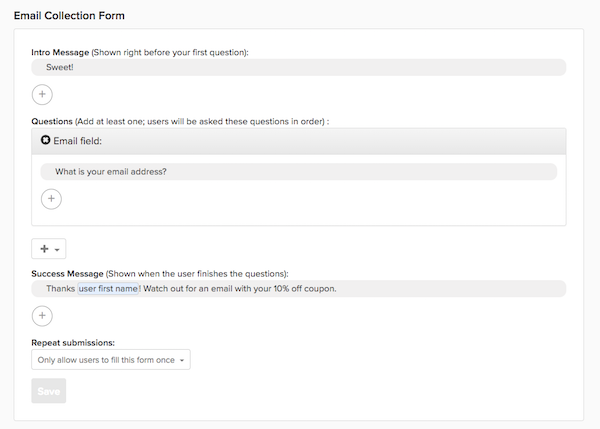 Learn about setting up forms. 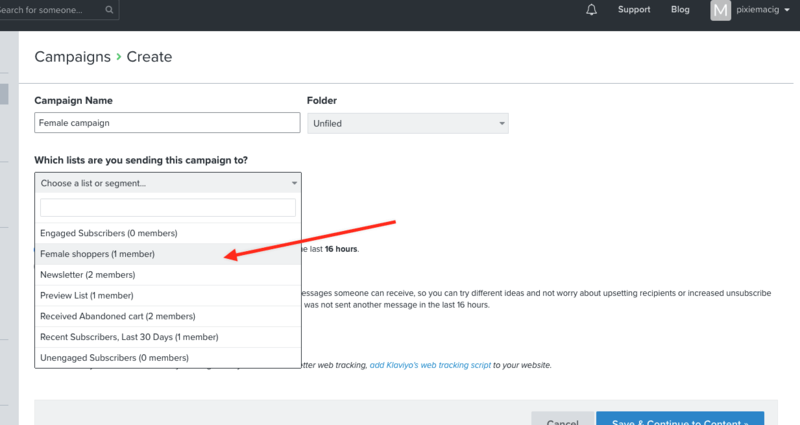 If you do use this example which references a coupon, simply make sure you have a campaign setup in Klaviyo to send them the coupon once you receive their email. Is the Klaviyo integration available for everyone? Currently, Klaviyo integration is available only for Shopify Pro, Shopify Basic and Enterprise plans.